At present only around 6% of UK premises can access a Fibre-to-the-Premises (FTTP) network (up from 3% a year ago), although this is now rising rapidly thanks to various funding / subsidy initiatives from the Government, a softer Electronic Communications Code (here) and the 5 year business rates relief on new fibre. A growing number of alternative network providers (Cityfibre, Gigaclear, Hyperoptic etc.) are now competing with Openreach (BT) and Virgin Media to help achieve the Government’s ambition. But further changes will still be required and many of these were summarised as part of last year’s Future Telecoms Infrastructure Review (FTIR) and Ofcom’s related consultation (here). The aforementioned proposals represented a significant departure from Ofcom’s historical approach to economic regulation and were aimed at helping investors in the new “full fibre” market to make a fair return (i.e. “fair bet“) on the new networks. “We think these proposals will support network competition and investment in the more urban areas of the country: the first 70% of the UK,” said Ofcom. 1) Supporting a move towards unrestricted duct and pole access, giving companies greater flexibility to use Openreach’s telegraph poles and underground ducts. 2) More holistic consideration of business and residential markets, focused on promoting competition by incentivising companies to build networks. 3) Different regulatory approaches in different parts of the country, depending on the intensity of network competition. 4) Preserving incentives for Openreach to invest, in fibre across the country by having a fair package of regulatory measures. 5) A smooth transition from older copper networks to full fibre, while protecting consumers during the migration process. 7) Longer-term certainty for investors, lengthening the period of our telecoms competition assessments from three years to at least five. So far the regulator has already launched consultations on points no. 1 above (here), which includes their separate Dark Fibre plans, as well as points 2 and 3 (here). Meanwhile today’s proposals aim to provide more clarity on 3, 4 and 5. The key issues being how Ofcom intends to preserve Openreach’s incentives to invest in new fibre networks, and how they handle the transition away from older copper lines. No new regulation will be added to already competitive areas and Ofcom is moving away from cost-based charge controls of copper services (i.e. encouraging ISPs like Sky Broadband and TalkTalk to go fibre). Ofcom also says that the remaining 30% of “more rural areas“, where there is no prospect for competing networks and a weaker commercial case for investment, “should not be left behind“. Therefore they propose to support continued retail competition, while maintaining the incentives for Openreach to invest in full fibre by allowing them to “spread the costs of investment in fibre across a wider group of consumers.” (e.g. they could recover some investment costs from both copper and fibre products). The above represents a radical change and is akin to utility rate of return regulation or a Regulated Asset Base (RAB) model. “This will enable Openreach the opportunity to profitably invest in full fibre at low risk,” said Ofcom. 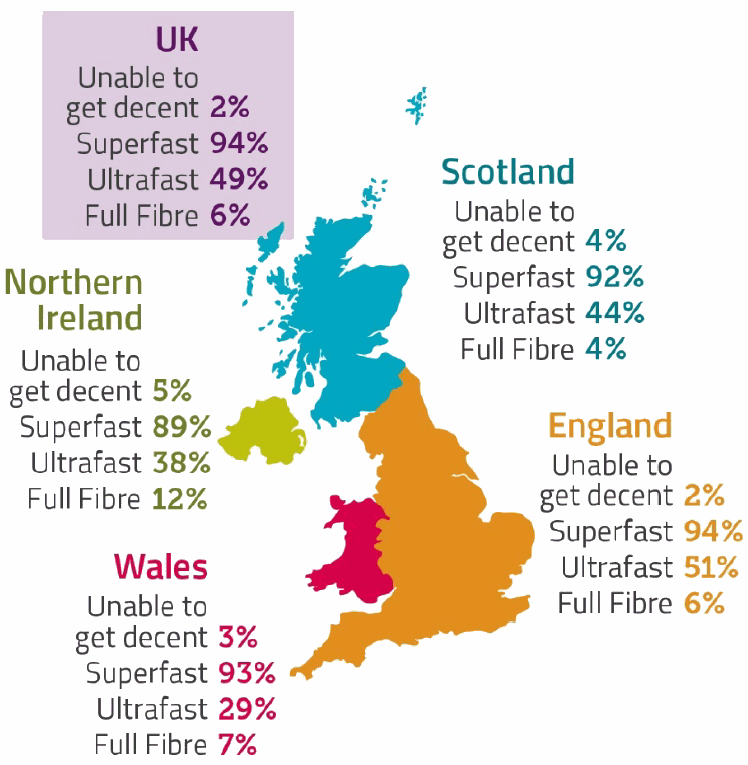 Future 5G mobile networks will also need fibre in rural areas for their capacity supply, thus Ofcom are proposing cost-based access to Openreach’s Dark Fibre network in these areas and allowing a “reasonable return” on their investment (see link for no.1 above – future business connectivity review). But of most interest this time around is the regulator’s approach to the transition from copper to fibre, which is an extremely complicated area due to the many competing interests from different ISPs and vulnerable consumers etc. We covered this in more detail as part of Openreach’s recent consultation on the subject (here) and Ofcom’s proposed approach is set out below. a) Openreach is required to deploy its fibre network in an exchange area to provide 100% coverage. As such, all customers will have the choice of purchasing a fibre service prior to the focus of our regulation switching away from copper-services. 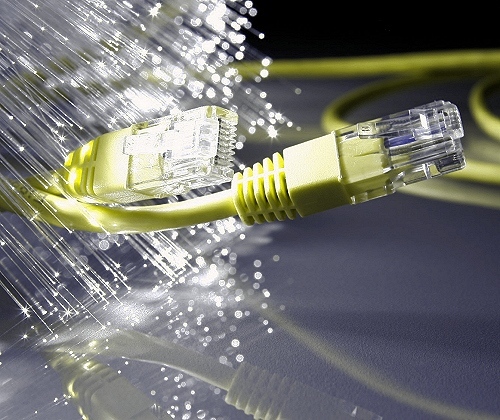 b) Openreach is required to provide a 40Mbps (10Mbps upload) service on its fibre [FTTP] network. Our view is that to ensure a smooth transition for customers, there will need to be a period of time (subsequent to the above requirements being met), where we continue to regulate copper-based services prior to switching the focus of our regulation to a set of regulated fibre products. This needs to be sufficiently long to allow rival access seekers to inform their customers and manage the future changes to the focus of our regulation. During that time we propose an overlap where we continue to regulate copper-based services in parallel to regulating fibre-base services. We propose that that this should be at least two years. In addition, we propose that at the start of this overlap period, Openreach is no longer required to provide new copper connections (including no longer being required to migrate a customer back to a copper service from a FTTP service). We propose that when this two-year period has elapsed, we would lift price regulation on copper-based services and switch to regulating a set of fibre-based products only. Broadly speaking Ofcom’s plan appears to mirror a lot of Openreach’s own industry consultation, which is no surprise since both sides will have spent a long time discussing the issue before publishing their consultations. However the final details won’t come until both processes have completed. “We agree that certain conditions are needed to encourage further investment in full fibre networks, so this looks like a step in the right direction by Ofcom. Openreach is hugely ambitious. We want to be the UK’s national full fibre broadband provider and we’re already getting on with the job of building at pace and scale throughout the country. The new consultation is expected to run until 7th June 2019 and the full details of their final approach will then be set out in December 2019. We also expect a new round of Quality of Service (QoS) standards, which may cover Openreach’s FTTP products too (still the subject to some debate). This largely reflects that Openreach plan to “full cover exchange areas” where it deploys FTTP/G.Fast, as this is said to be the only way that it can retire its copper network and release the cost savings. Mind you it may be difficult to fully retire copper when you have a hybrid fibre and copper product like G.fast included into the coverage equation (i.e. they can’t retire the final copper drop in those areas). How are we reading this: That OR have to provide 100% OR regardless of rivals networks or that the exchange properties need to have 100% option of fibre (from any provider) Its read as the first but that seems to encourage overbuilding in a stupid way. Got to agree with you here Joe. Seems like Ofcom are relying on OR to provide the network for everyone to switch over to. Which promotes overbuild unless Ofcom turn around and push these rules and regulations on to altnets. Again seems a little unfair on OR that they are being relied on and having regulations enforced while other altnets aren’t. I wasn’t exactly clear what Ofcom were saying there myself and will ask them. In Openreach’s own consultation they use a 75% coverage level for “ultrafast broadband” (inc. G.fast, FTTP and Vectored VDSL2) as a trigger point for the migration process. OR does have SMP in a way altnets rarely do. They are moving in the right direction but i’d rather they were less invasive on OR in all but the market A/1 areas. Agree not enough information here. USO exclusions, new builds where OR have no presence and the impact on the smaller WISPs or community initiatives that have put in such hard work and investment?. Surely the 100% statement is incorrect, has to have caveats and must be sending shivers to some. I welcome a stated entry level product but I would have preferred that to be a lower speed/cost one for those on low income/moderate use. The “propose modifying existing copper access obligations” is sensible. Allowing OR to force a copper_>fib switch early where it not economic to repair copper is helpful. I think waiting for 75% before they can refuse to downgrade to copper from Fib is a mistake. Why not make that 50%. I’d like to see the price caps on fttc/adsl etc raised where fttp is an option as soon as possible to drive the transition. I would like to see it by exchange rollout. As soon as an exchange area is designated FTTP it should trigger a copper close down timetable say 18 months (contract). The consult includes the option to retain copper outside the regulation for special purposes but Telephony/LLU/Metal Path should be withdrawn on contract change or 12 month notice. 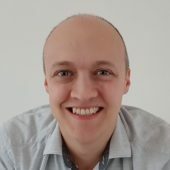 Potentially extremes of 1%->100% in 18 months could be tricky! Hense why I went with 50%. But it does need more push. 75% could see a slow transition though it all depends on capacity of OR to deliver. Doesn’t seem enough push in these proposals – doubtless ofcom trying to dodge LLU (real or perceived) legal threats. I wish sky would get into fttp soon they are the master of the upsell and would push fttp – bt/or are pretty hopeless and just seem to wait for it to happen. I don’t see why it’s necessary to reach a % coverage before preventing downgrades to copper from fibre. Why not as soon as a property has a fibre DP, say all new provisions must be on fibre? Working-line takeovers can be excepted. 1. if it’s cheaper – in which case, the fibre pricing has to reflect this. e.g. a voice-only service delivered over fibre should be as cheap to rent as a copper phone service. 2. if they get a wider choice of service providers – in which case, Ofcom need to get all the SPs onboarded for fibre. The trigger point is the start of the 2yrs isn’t it. Its doesn’t tell us if they have to hit the 100% by the end of the period. I did read the consult but its not much clearer there. Would be good to know as it will make a huge difference to altnets and the cost/speed of rollouts and switch off.